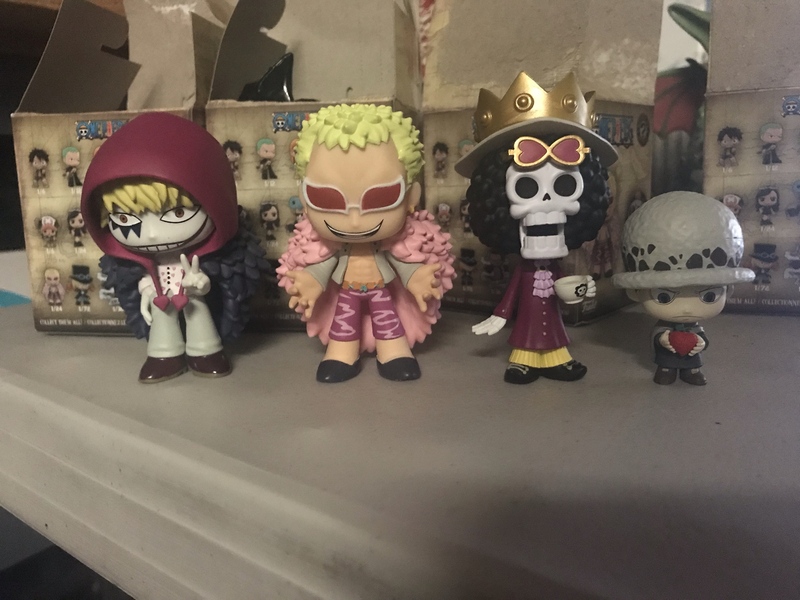 Any news on the new line of one piece mystery minis that was supposed to come out this summer? kind of forgot about these, haven't heard any talk of them since announcement. Which minis is it that you're talking about? I must have missed something. PigNosePony wrote: Which minis is it that you're talking about? I must have missed something. Its mid sept and STILL no word. They are prob coming out at the very last min of this month . I preordered them from EE and they have yet to charge me for them. Hopefully these don't go down like the Sailor Moon minis and drag on for months and months. 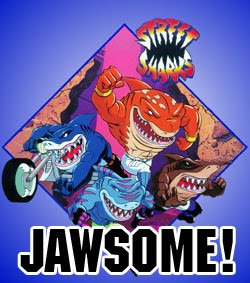 glad they're finally coming out, still annoyed they are arc specific though. The ratios though... My wallet is going to cry to collect all of them!! 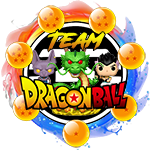 Anyone interested in joining a mini-group to help each other collect/complete this line without breaking the bank? All I have to say is about time. They announced these like 6 months ago and said available august. That HT law is going to be a pin. Anyone know if only hot topic getting exclusives ? I feel like everything is coming out really late compared to announcement times. I can't wait to see these in person! I just picked up a case. I was able to get Gear 4, my top want. Franky and Law as well for the 1/24(36). Karubin wrote: I just picked up a case. I was able to get Gear 4, my top want. 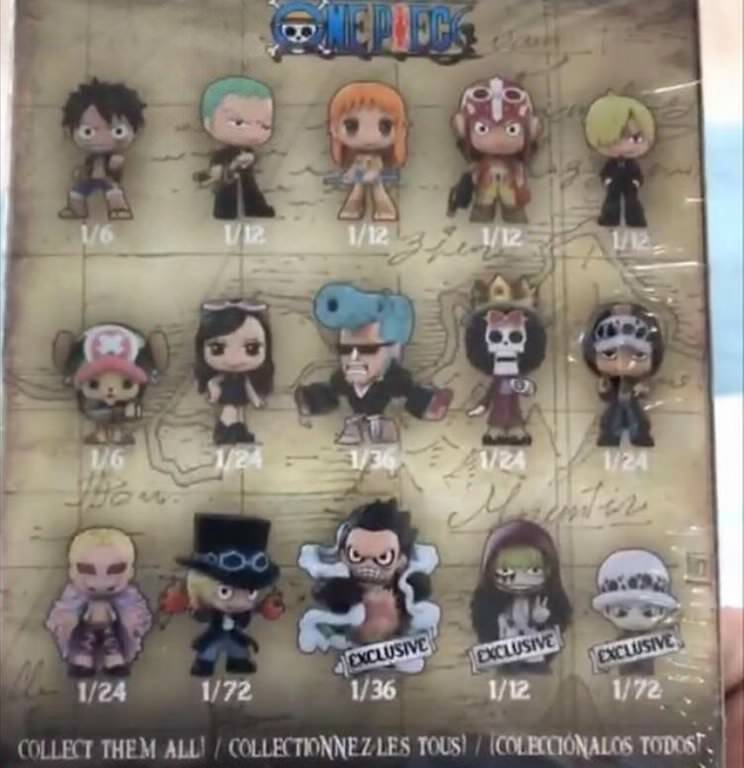 Franky and Law as well for the 1/24(36). Was 4th gear luffy heavier than Franky and law? I actually found both in the same case today I might've missed him if he was lighter. Where were the 1/6 Luffy and Chopper? When you rotate do you put other series in a box or tote somewhere? Gear 4 Luffy is heavier than Franky or Law. I read that Sabo is pretty heavy too. Greenrome wrote: Was 4th gear luffy heavier than Franky and law? I actually found both in the same case today I might've missed him if he was lighter. Sabo will be harder to find for sure at HT. Picked up a case at hot topic and got the exclusive 1/72 law . Will post weights later. Here's my good pulls from the case. HT stores in the East coast have gotten the MM in. Just pulled my favorite MM out of all the One Piece minis! 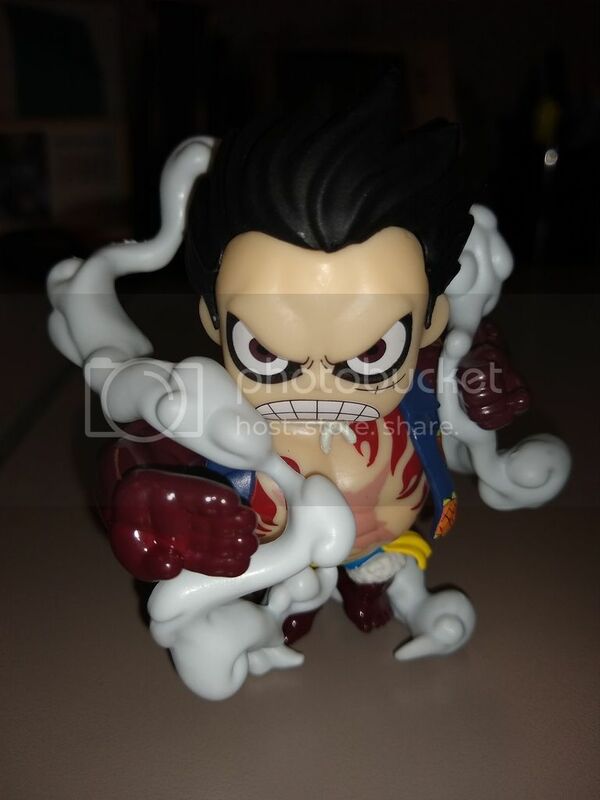 Gear 4th Luffy is really heavy and takes up a lot of space. I was looking for the heaviest one and got him!